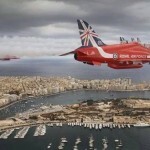 Manoel Island Yacht Marina under new management as from 1st January 2011, is centrally located in Gzira. Chandlery shops, major shopping malls, supermarket and tourist services are all accessible within a short walking distance. In the vicinity one also find numerous restaurants, bars and convenience shops. A pharmacy is also located just across the marina. 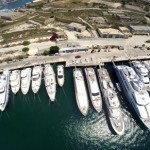 Having all these amenities so close make Manoel Island Yacht Marina the number one choice for all visiting yachts in Malta irrespective of size.